Since its inception in 2005, the North American Brazilian Jiu-jitsu Federation has laid down a staple of premiere grappling tournaments in Southern California. SJJIF offers the best competition experience for all its participants. Its successful run over the years has spawned the creation of a fleet of NABJJF events beyond the California’s border to Arizona and Texas. This popularity has many grapplers wanting to get a clinching grip on the tournament action. Continuing its partnership with the SJJIF, NABJJ brings to you its own version of elite tournament experience to gather the best grappling talents from around the world to compete on one stage. The Sports Jiu-Jitsu International Federation in conjunction with the NABJJF proudly presents The SJJIF Worlds tournament on December 14 & 15 at the Walter Pyramid at CSU Long Beach in Long Beach, California. 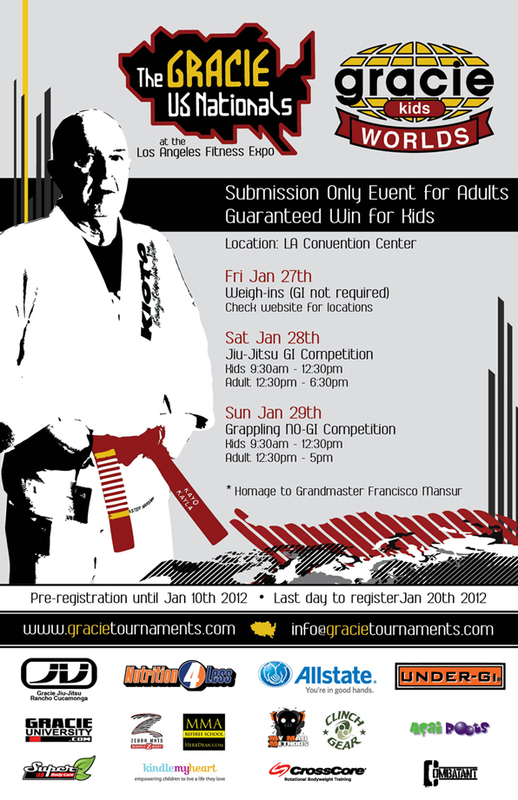 They are inviting competitors of all ages to participate in both Gi and/or No-Gi divisions. Their website contains information on hotel accommodations for out-of-town competitors. The event is an opportunity for all grapplers to get the best experience at an affordable price.